I have been researching my family history since 1988. The Wrights come from Wheathampstead, Hertfordshire and according to the Parish Records, my grandfather`s sister, Rosetta married John Thrale at Wheathampstead on April 2 1898. She was 20 and he was 22. John's father was William. Are they the same Thrale family as yours? 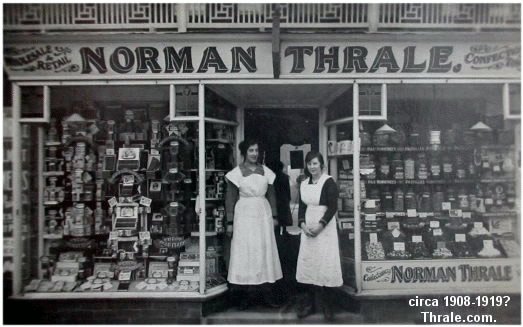 I believe that Hannah Maria Green who married Ernest Norman Thrale in 1896 was a sister of my maternal great grandfather, Alfred George Green who I remember well as a child. 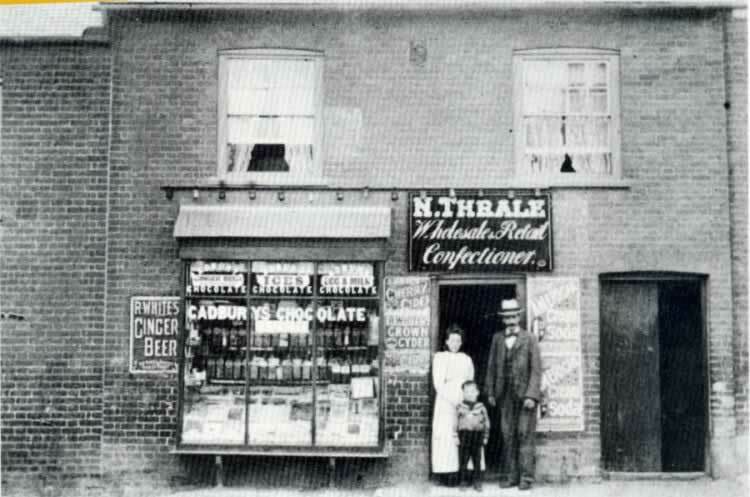 He lived in King Hary Lane, St Albans where he died in the 1950`s aged about 80 years of age. He and his family were all born in London. Can you confirm any of this, especially the Wheathampstead connection? Hi Keith, or should I say cousin? When you sent your message to me at Thrale.com about six months ago I - like you - wasn't too sure where I fitted in. I didn't even know my great grandfather's name. Well since then I have made great progress thanks to the help of many visitors to Thrale.com who given me loads of clues and information to add to my efforts. 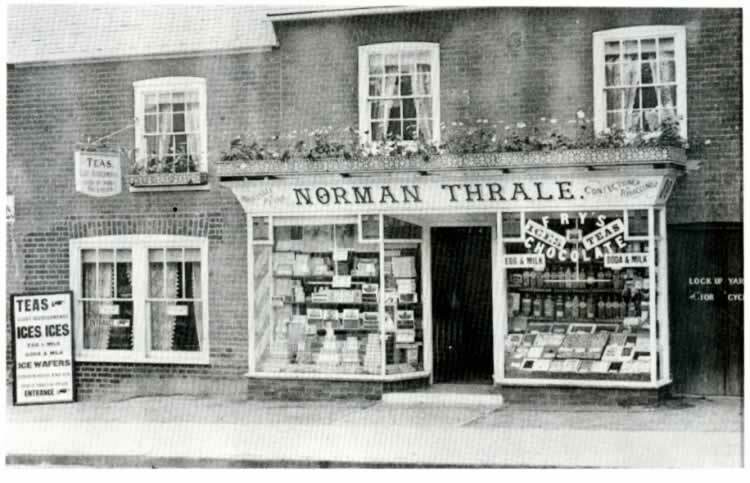 Well I know that my great-grandfather was William Thrale (born 1853 in Wheathampstead) and that he had 21 children by 3 wives, and that one was called John Thrale and he was born in 1876 in Sandridge. Surely this is the same John Thrale that you say married Rosetta (You didn't give her surname)? John Thrale is my granduncle! I do have Hanna Maria Green but not any of her family. My latest GEDCOM file (with certain personal details of the living withheld) is available here as is the Thrale family tree which is viewable on line. Go there and search for William Thrale, then select the William Thrale born in 1853. Hopefully this will give you some information that you don't already have. I hope that it helps you. On my tree you can see that I currently have 16 children and one wife (Sophia McCulloch) for William Thrale. However my Uncle, Brian Thrale has told me that his granddad William was married three times and that Brian's father Herbert Donald Thrale (my granddad) was William Thrale's 21st - and last - child. Unfortunately I only have the names of 16 of William's children and no names for his other two wives. Nor do I currently know which children that Sophia and the other two wives bore. Sophia is unlikely to have had 16 kids (this isn't impossible though!). Do you have any information on this? I would also be interested in information about the spouses and children of William Thrale's children as well. Anyway, many thanks for your help. I do hope that we can share information to help us both learn more about our shared family! I have just obtained the birth certificate for William Thomas Thrale, son of John Thrale and Rosetta Thrale (nee Wright). He was born on 25 October 1898 at The Hill, Wheathampstead. the names of all of John Thrale's 20 brothers and sisters and many of their birth details (including my grandfather Herbert Thrale). All these details are available on Thrale.com on the Thrale family tree page. I am working very hard on this part of the family tree because of my close connection with this. More information will be available soon. Do you know if John and Rosetta Thrale had any other children?